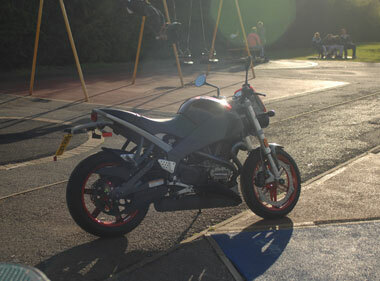 a buell for the larger framed rider. 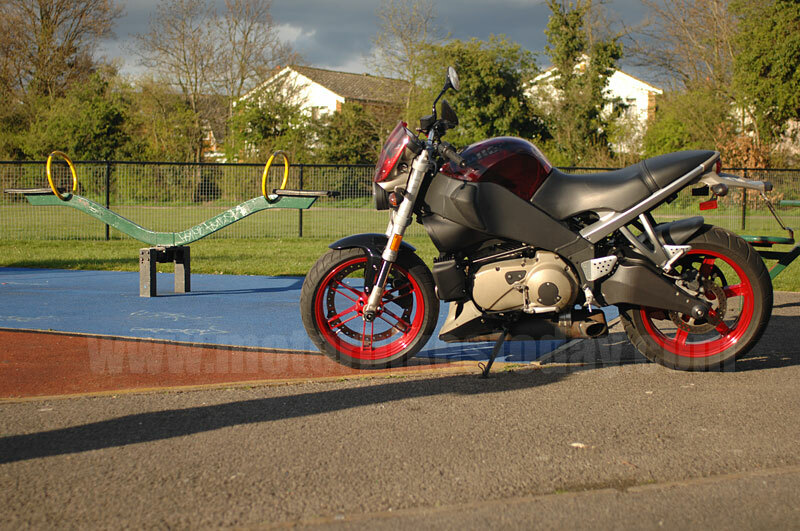 . .
From being a limited sort of company in terms of their product range - you could have either a sports fairing and clip-ons or no fairing and raised bars on an otherwise identical bike and that was it - Buell have come quite a long way in developing their range. Because although the Lightning/Firebolt was a fabulous bike in many ways, if you wanted something else then you were going to end up on a different brand. Which was a shame, because Buells have a lot to offer. It's probably worth pointing out at this point that the Lightning Long or XB12Ss to give it its proper name, is still not exactly a large motorcycle. Overall it's just eighty millimetres longer than the standard diminutive Lightning, with a ten millimetre taller seat. And in all honesty it feels exactly the same to sit on, with everything falling nicely to hand and foot as before. Perhaps there's a little more room to shuffle around, but it doesn't leap out at you. And that's good - the original was sublime so why change it more than necessary? The stretch is partly in the frame and partly in the swingarm, with a longer rear subframe to accommodate the extra pillion seat. The real bonus is twofold. First of all you get a very useful two litres of fuel in the frame mounted tank. 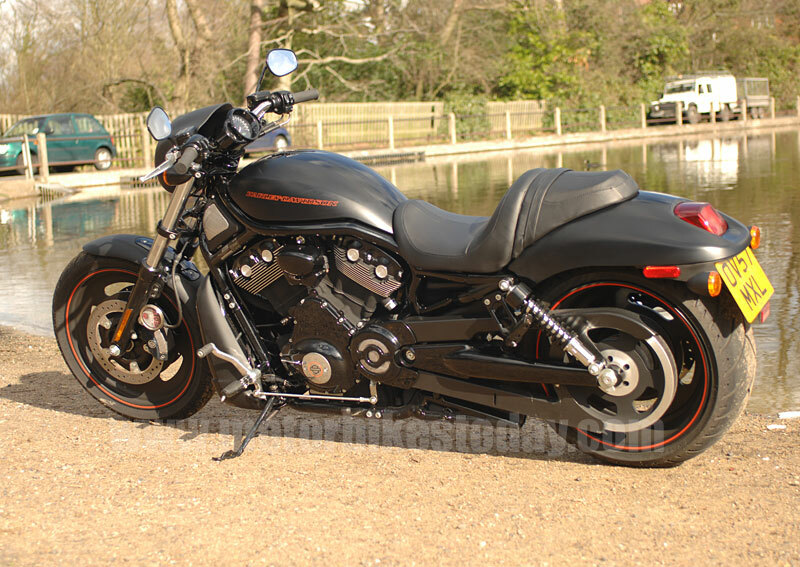 And secondly you get a pillion seat that is actually worthy of the name. 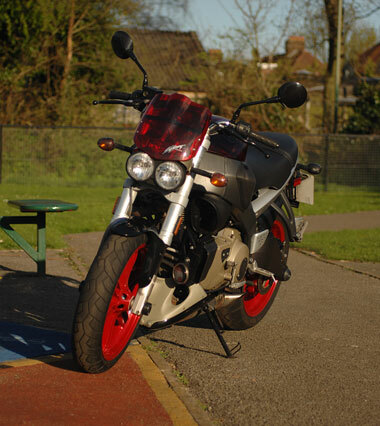 It's still a fine looking bike, it's well proportioned and definitely has character, even before you hit the starter. The optional extra translucent bodywork is a conversation piece, though I suspect it would look just as good in solid black as well as being a few hundred pounds cheaper. But having mentioned the starter, let's get on and ride, shall we? Starting the Buell is straightforward and never caused any concern. Tickover is lumpy but regular, though the vibration is a little disconcerting. Deceptive, too, as the engine smooths out dramatically at a couple of thousand rpm. 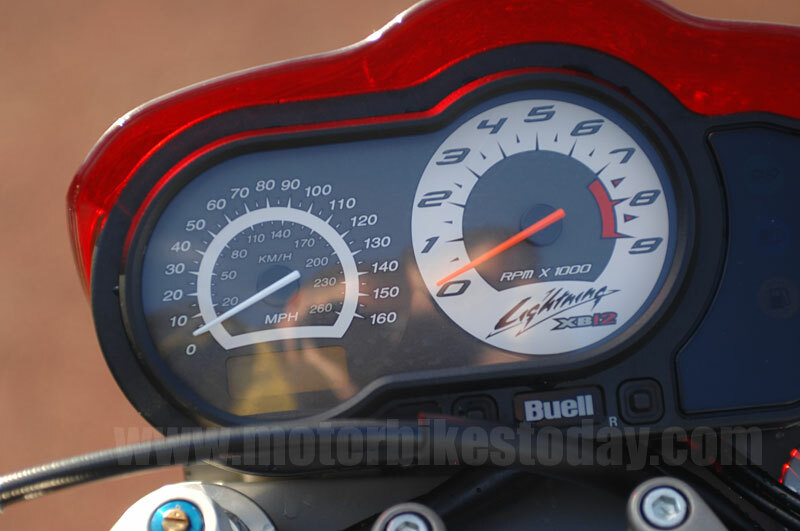 Blip the throttle and note the typical Buell response - revs climb fast but thebig flywheel makes them slower to drop. Pull in the surprisingly light clutch, remark to yourself how much better the gearbox is on the Dyna Harleys and wonder when the improvements will find their way onto the Sportster (and therefore Buell) boxes as you hammer it into first and pull away. The vibration, while never entirely absent, decreases dramatically and speed increases in a totally linear way - open the throttle more to accelerate faster but there are no sudden steps or lurches, just this huge wave of thrust. Once you're moving the gearshift seems to improve as well, though it's still agricultural compared to newer Harleys, let alone oriental machinery. The rate at which you gain speed is quite surprising as it doesn't feel anywhere near as quick as the hard to read speedo indicates. At vaguely sensible out of town cruising speeds, staying in two figures but not dawdling, the Lightning makes perfect sense. It's comfortable enough, with the tiny flyscreen providing just enough wind deflection to make this sort of pace bearable while the longer seat gives room to move if your bum starts getting tired. The handling is, if anything, even better than the original Lightning. The puppy-like eagerness of the shorter bike has matured a bit and though it still turns ever so easily the more relaxed geometry makes it a bit more stable and the overall feeling is of sure footed agility rather than slight friskiness. The brakes are as excellent as ever and the ground clearance will never, ever, prove to be a problem. 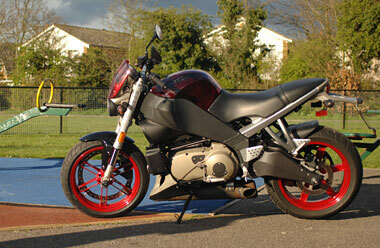 The Lightning Long is probably the most sensible bike in the Buell range. It's a superlative town machine, it has room for a passenger or to carry a bag, it's guaranteed to raise a smile as soon as you get on it and it's relatively cheap to run. The belt drive is a delight, being completely maintenance free though you'd be advised to use some sort of tyre sealant as removing the rear wheel is a job best left to the dealer, and the engine, while still fairly primitive, does exactly what is asked of it without hesitation. It's not perfect - the speedo is way too hard to read for a bike that accelerates as well as this and the lights aren't especially brilliant - but it's pretty damn' close. 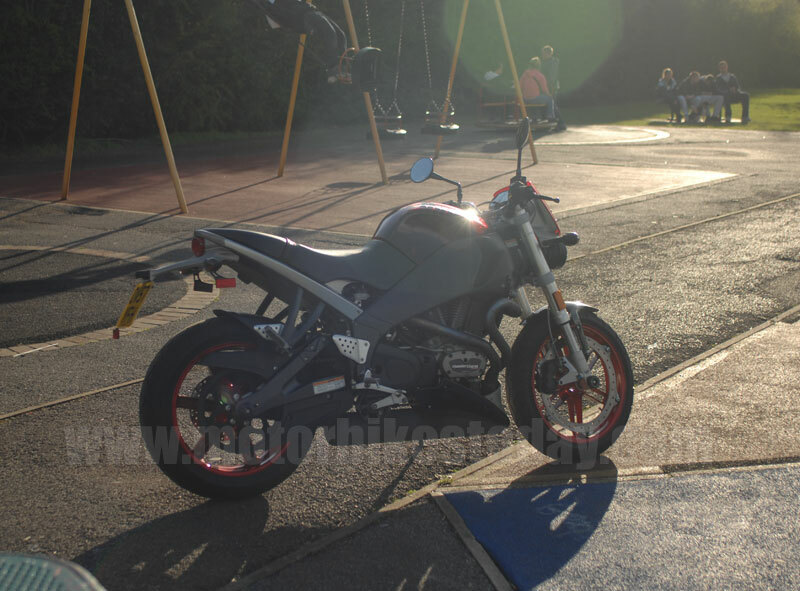 And for the money there's almost nothing other than Buell's own 900 CityX that comes anywhere near it for sensible, usable fun. Copyright © Motorbikestoday.com 2008. All rights reserved. Users may download and print extracts of content from this website for their own personal and non-commercial use only. Republication or redistribution of content, including by framing or similar means, is expressly prohibited without the prior written consent of Motorbikestoday.